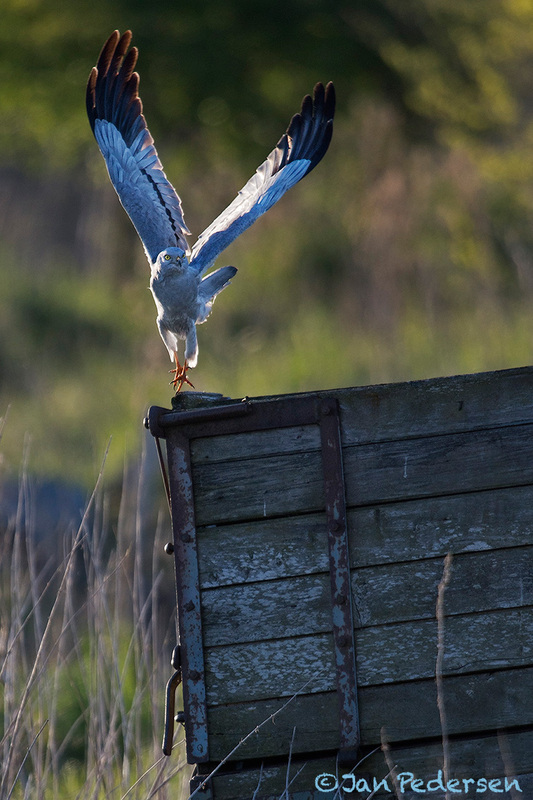 Like a blue angel - Montagu´s harrier in early morning light. The male has warmed up and he is ready for the tasks of the day. Hunting and bringing food as a gift to the female - to achieve a mating. He has to be on constant lookout for possible intruders in the territory. Everything will be chased away from Marsh harriers to overflying shelducks. From last weeks dedicated harrier-photography on the Swedish island - Öland - one off several harrier-sessions this month.